As some of our readers may already know from my auto-reply message to your emails, I have been on a two week vacation with my husband celebrating our 30th wedding anniversary. During this time, I have received many emails (close to 100), as well as phone calls to MEBO from sufferers that I unfortunately have not been able to reply to. Therefore, I would like to write my reply to all of you in this post in order to answer most of your questions and concerns. Dr. Cheryl Fields, a.k.a. 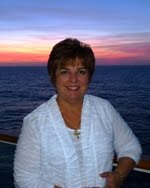 Dr. StillStanding, MEBO Community Outreach Director: cheryl.fields@meboresearch.org. 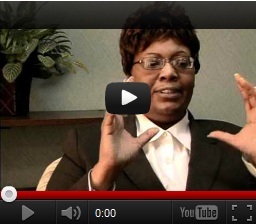 Cheryl has a MBA degree in Human Resources. In addition, she is gifted with a very compassionate heart that has been very supportive to many sufferers as she has volunteered countless hours of her time to our community. To MEBO's Managing Director, Mike, who has organized the Menssana Alveolar Breath Exploratory Study with any questions regarding this program: mike@meboresearch.org. As Mike informed in his email to sufferers on the waitlist for the MEBO TMAU Test while I was away, we are in the process of re-initiating the test process again this month, since he has been working very closely with the lab with this effort. Now that I'm back, please bear with me as I try to organize everything necessary to set up the bookkeeping and prepare over 100 kits to send to various countries around the world. This involves a great deal of administrative work, including carefully assigning an identification (ID) number to each person that correlates with the kit used, calculating FedEx shipping cost, creating round-trip shipping labels, filling out Customs Air Waybill and Commercial Invoices for round-trip international shipments, putting three (3) choline pills in a small ziplock bag to go in each box with the kits along with the instructions sheet, and finally arranging for FedEx pickup. In addition, most if not all persons taking the test sends me numerous emails asking many questions that I need to reply to, and for this reason, I have created an interactive Q & A Forum. I encourage all test participants to not only ask questions in this site, but also share your experiences with others and help answer questions. Your assistance in this matter is greatly appreciated. Please keep in mind that MEBO is an all volunteer staff, and the workload just keeps piling up as more and more programs are initiated and participation increases steadily. Many more volunteers are needed to carry out all this work, and your participation in this forum would be instrumental in MEBO's operations. I also realize that some of you have not yet received your invoice to pay for this test, and I will get to this as soon as possible once I calculate your respective shipping cost. Since this work is simply too much for me to do by myself, I have hired, for the first time in MEBO's history, a person to assist me for $50 for one day's work. John R. Cashman, Ph.D. President and Founder Human BioMolecular Research Institute (HBRI) Professor Elizabeth A. Shephard Vice Dean Education, Biosciences Institute of Structural and Molecular Biology Division of Biosciences Darwin Building UCL Genetics Institute University College London, Professor Ian Phillips, BScHons (Rand) PhD (Lond), Professor of Molecular Biology, School of Biological and Chemical Sciences, Queen Mary University of London, Nigel Manning Principal Clinical Scientist Department of Clinical Chemistry Sheffield Children's Hospital Sheffield, England Irene Gabashvili, Ph.D. Director, Scientific Advisor MEBO Research, Inc. In addition, MEBO has registered an Institutional Review Board (IRB), also known as an Independent Ethics Committee or Ethical Review Board to whom we can address procedural and ethical questions as we develop new programs. I am sorry you have been dealing with your difficult to control body malodor and/or halitosis for so long. Just like you, sometimes people get some good results, although limited, from experimenting with different types of diets, but most do not. In fact, it is not good to deprive oneself of essential nutrients without any diagnostic tests that would indicate the need for it. It is unfortunate that most sufferers find they have no other alternative but to experiment on a trial and error basis due to lack of answers from the conventional medical field. I hope that you have seen your physician and dentist before attempting your diets and protocol, so that he or she would have performed all the tests to at least rule out well-known diseases that produce odor conditions. Currently, when all conventional tests have been exhausted, the only body odor related test around is the urine and genetic (DNA) trimethylaminuria (TMAU) tests, for which a very low percentage of sufferers test positive, so these tests simply do not address the needs of most body odor and halitosis sufferers. You may want to see our International TMAU Test Labs page in MEBO Research’s blog, which, in fact, needs to be updated to reflect some of MEBO’s new test/study programs. 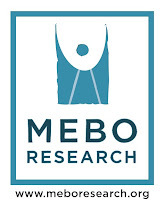 MEBO Research is constantly and very proactively pursuing testing/study programs throughout the world, and consequently, this page needs to be updated from time to time to include our new programs as well as to update other programs. If you find any information that needs updating, please call it to the attention of our all-volunteer staff at staff@meboresearch.org. There are a few tests that MEBO Research has arranged so far with various labs in the US and UK (TMAU and non-TMAU related), including the MEBO TMAU Test. We are still working on future tests with more labs in Canada, US, UK, and possibly the Netherlands and other countries, but we have not yet determined when these will be initiated. A few of the labs MEBO works with test for TMAU, and others are focused more on sufferer-funded exploratory studies looking for other causes of body odor and halitosis conditions. 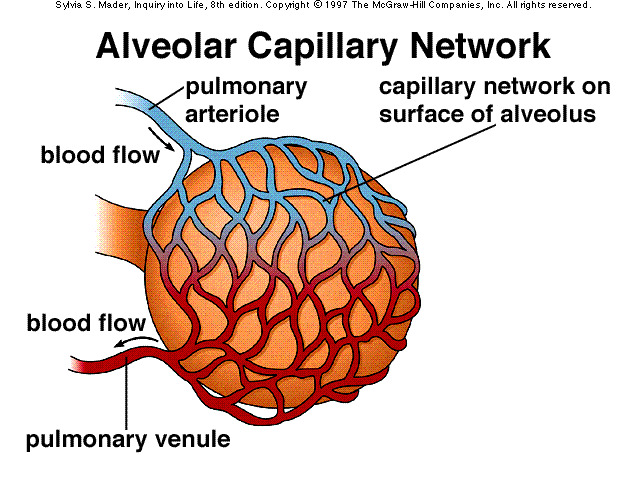 One of these exploratory studies, the MEBO-Menssana Alveolar Breath Exploratory Study, was launched in April 2012 in Chicago, and the diagnostic instrument will be shipped to Miami to be used in theMiami Beach Meetup in June. Afterwards, it will be shipped to England, and hopefully will be shipped to other locations throughout the world in an effort to reach as many sufferers as possible in a year's time. 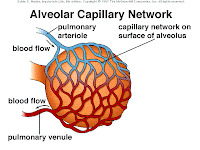 It involves the collection of alveolar breath, which detects and measures volatile chemical compounds that come from gas exchanges through the alveoli and capillaries of the lungs from the bloodstream and out the lungs released in the breath. This one yearlong study will compare the results obtained from sufferers with a control group, and Dr. Michael Phillips, MD, will study the metabolic pathways that produce the volatile to define the volatile's metabolic origins (precursor) causing body odor and/or halitosis. We have also been conducting another exploratory study in the UK for Gut Dysbiosis in an attempt to find patterns. Another MEBO’s Scientific Director, Dr. Irene Gabashvili, is in the final stages of developing her Aurametrix program (software solution) that is geared towards understanding the relationship between diet, medication, daily activities, environment, and body odor and/or halitosis conditions. Please keep in mind that exploratory research has the potential of bringing to light the existence of conditions not previously known or identified, or possibly of not bearing any significant findings at all. Even if some significant findings were achieved, much more additional research would need to be conducted before any serious conclusions can be drawn regarding diagnosis and treatment. However, as sufferers, we find that we have had no other alternative but to take matters into our own hands and to seek out experts who will help us conduct these and other much-needed exploratory research studies. If we do not take matters into our own hands, we see no realistic probability of research being performed otherwise. Unfortunately, we have not received research funding, so the cost has to be covered by each participating sufferer paying for his or her own test until such funding is obtained in the future. We hope grantors will be inspired by our determination and drive, and to someday come forward and fund the much needed research into new hypotheses that we may have obtained from our exploratory studies. If you are interested in taking part in any of these tests/studies, please let the MEBO staff know.